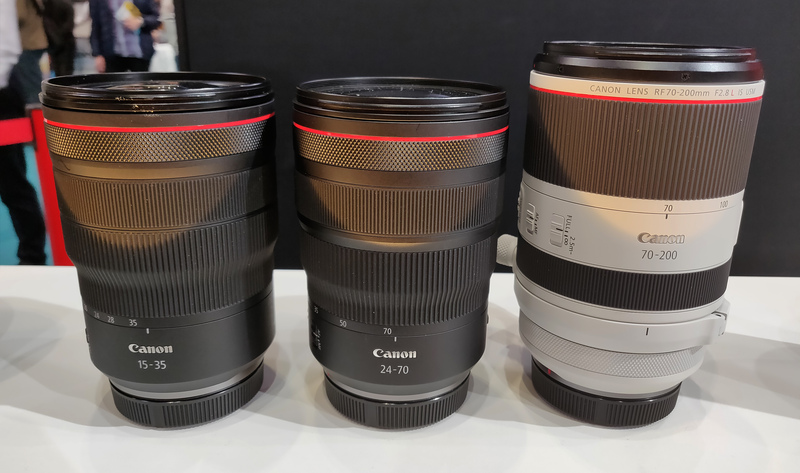 Canon RF 85mm f/1.2, 24-70mm f/2.8, 15-35mm full-frame lenses, due for release later this year, shown at The Photography Show 2019. 15-35mm, 24-70mm, 70-200mm "Trinity" of f/2.8L zoom lenses. We had a quick look at these new lenses, which are designed specifically for the Canon RF system, which includes the Canon EOS R, and Canon EOS RP. The lenses are due for release later this year.